By not publicly identifying the actual hotel at which the event would take place, the organizers presumably spared the hotel of bad publicity and discouraged the news media, protesters and other interlopers who might have shined a light on the hate being spewed inside. Now, amazingly, it appears that a similar tactic has been adopted by the Speaker of the North Carolina House of Representatives with respect to an event he has planned for next month. Now, in fairness, it seems unlikely that this event will be on the level of a Council of Conservative Citizens shindig and it’s at least possible that organizers haven’t finalized the details of the location yet. If that’s so, however, how can they be so sure of the timing? 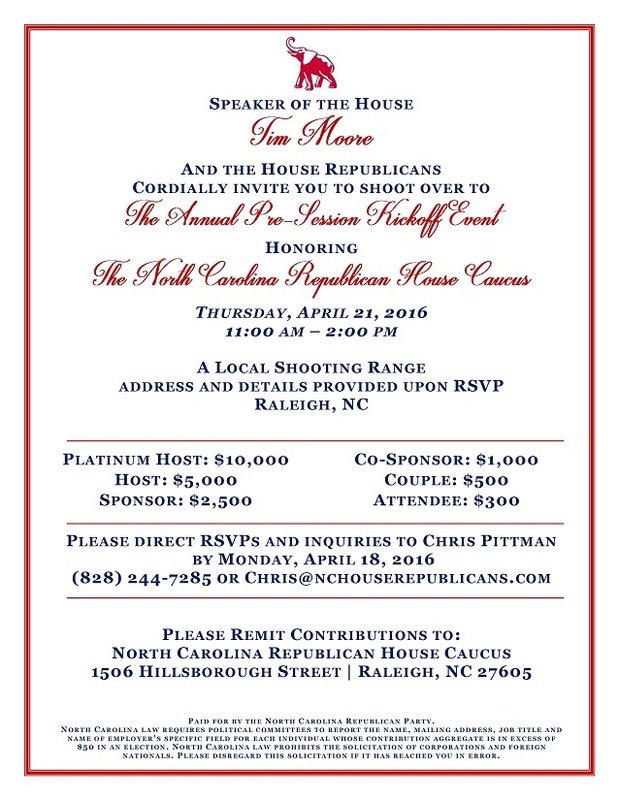 The bottom line: By all appearances, the Speaker of the North Carolina House will be hosting a fundraiser for lobbyists next month at a shooting range and he plans to keep the location a secret. If nothing else, this is as depressing as heck and yet another symbol of how far our state has fallen.